Oh how much I miss a good sleep. Any pregnant woman, at any stage of her pregnancy, will agree with me. A decent sleep makes a huge difference to how you feel, think, eat, performance and of course mood. I think in the last month of your pregnancy it is nature’s way to prepare a woman what lies ahead of her. Motherhood with sleepless nights, feeling exhausted all the time but still perform to the highest level and have a clear mind. Thinking that way helps me to cope with my tiredness bit better at this stage (it is not always the case though). So what does keep me awake at night? Blocked sinuses, don’t get enough air. Probably the worst one at the moment. Dry mouth. Thirst. Itchy skin due to hormones changes (once again). Countless trips to the toilet as baby is engaged and pressing on the bladder. Pelvis and hip pain (!) Logistics of many pillows plus bump when I need/want to move. Hot flashes followed by “deadly” freeze. Cannot find comfortable position because I am huge. Once I found semi-comfortable position baby thinks 2 o’clock in the morning is a good time to perform gymnastics (already showing off his/her skills). Or it thinks that the position I like is no good for him/her and pushing on my organs to make me move (and of course I give in). Some nights I have semi-decent sleep with solid 3-4 hours uninterrupted sleep (what a blessing!). And than there a nights if I am lucky I get 3 hours on and off sleep which could go on for days. But since being on maternity leave I don’t really mind it as I try to have naps during the day. We both have been very quiet the last few months. Not intentionally but sometimes things don’t quite go to plan. But that one is a very pleasant surprise. Last August we’ve found out that we were pregnant! Wow! We talked a lot about family planning and trying for some time but it just didn’t want to happen. I was training like mad for my series of Half Marathons in July, September and October. Plus taking up an acting up role, I was stressed out. So I put it all down to rigorous training, high demanding job and a very, very hot summer. 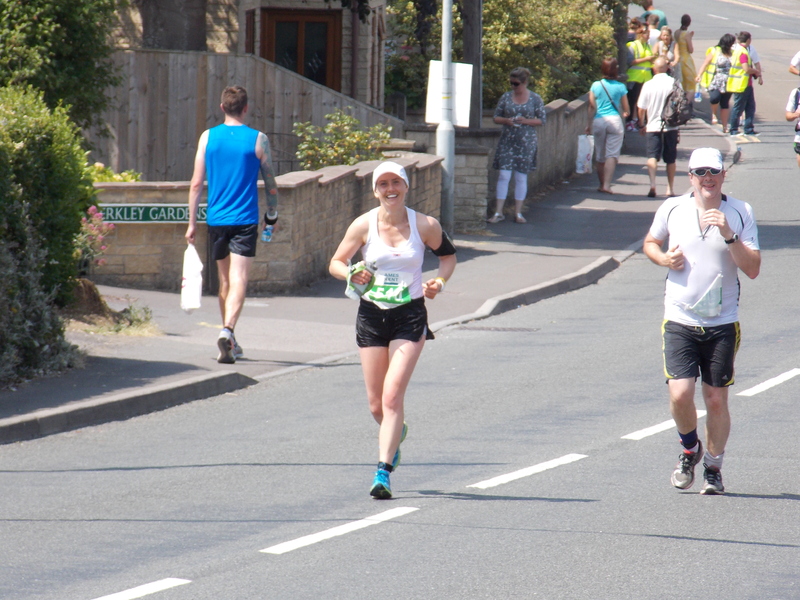 I ignored all the signals, completed Frome Half Marathon at the very early stage of my pregnancy in extremely hot conditions (well extremely hot for UK I would say). I took my PB that day. Felt great! Couldn’t’ wait for next one. Plus I became hungry for full Marathon. And then BOOM! It took 3 pregnancy tests to convince me that I was pregnant! Plus first visit to midwife and couple more weeks after that. Probably when we had our first scan it hit me hard. Seeing teeny tiny human shape inside you and the heartbeat, growing, breathing moving, was very emotional and amazing moment for both of us! 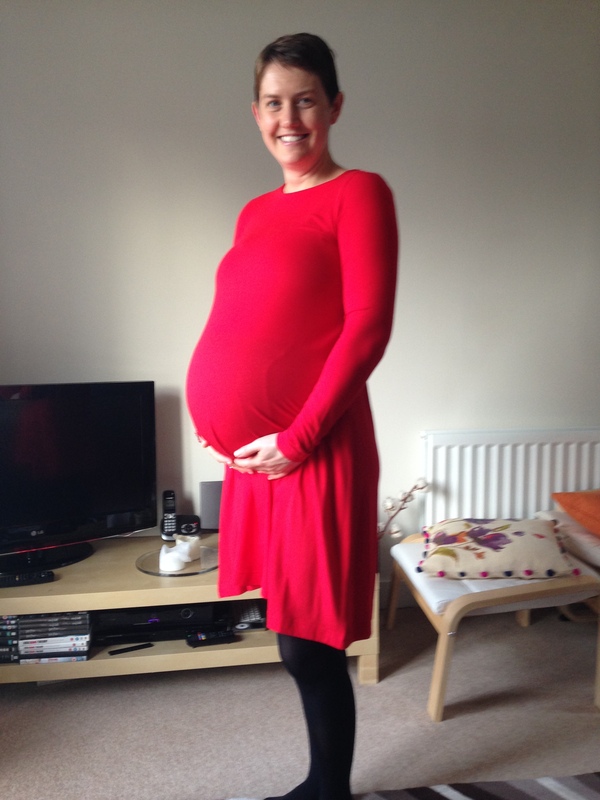 Now we are 2 weeks until due date. Our emotions are mixed. Super excited, terrified, happy and absolutely cannot wait to meet our little one. Over the next few weeks (too ambitious of me?!) I will capture and share with you my pregnancy journey. How things went? My training schedule, nutrition, emotional roller-coaster and realisation that that we will be a family! I will be a mum! All I can say now is that my priorities have changed, my mind adapted, I gained pretty healthy weight and I CANNOT wait to be able to sleep on my back and lie on my stomach again! My latest assignment. All about Meal planning. The last few months have been very hectic, work commitments, training load, events, holidays, enjoying the summer and and and. So unfortunately the course work has been not as much as I liked to. Hoping the life will get to normal in the next few weeks and I can fully concentrate on something I am truly passioned about – Nutrition, writing recipes, blogging and cooking. Resting Metabolic rate (RMR): 1500. I also included 10% extra calories intake for food digestion and absorption, which gives me the total of 1500 RMR. 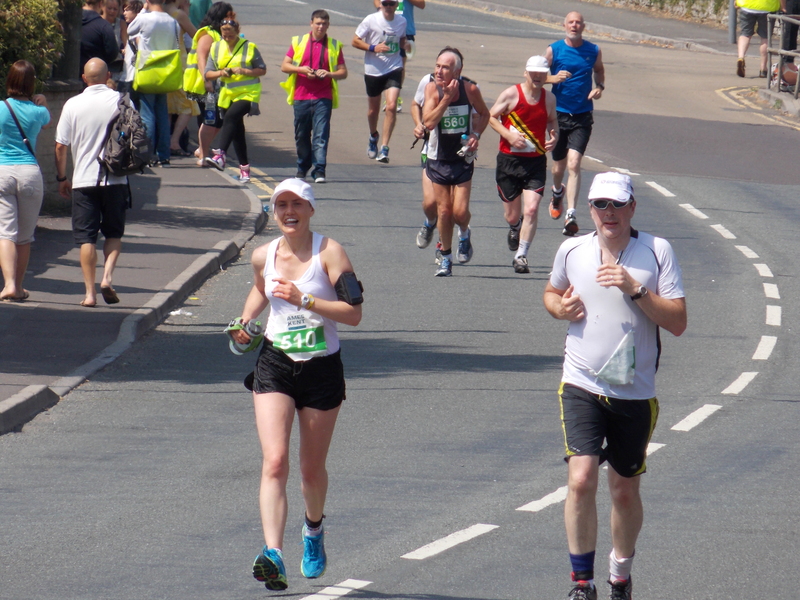 As I had to drop out of the Bath Half Marathon earlier this year due to a injury, I was desperate to find a Half Marathon close to Bristol. I came across Frome HM, which sounded well what shall I say… lovely. (I have to admit I didn’t read the full details like hilly course!). I wasn’t much concerned about the fact that we would actually have a summer and a heat wave. My main concern was torrential rain! But who would have thought that we would get a heat wave!?! Yes, it was hot! Very hot! The organiser did a amazing job and had a real sense of duty of care! So they put up extra water stations for the Half Marathon runners. Thank you for that! We needed it, even if just pouring the water over yourself. Plus water sponges! When I saw the sign I asked myself ( a loud) what that might be? And then I saw two girls with a big pile of sponges and huge bucket full of water, I had a big smile! Yes, of course, amazing idea! It was cool and refreshing and gives you that extra push for few miles. The spectators! What a crowd! Very supportive, very uplifting! And very generous. Some had their garden hoses out and offered a very welcome cooling down spray! Plus loads of kids with their water pistols, and spray-bottles! But my favorite was the drummer! You don’t expect to hear or see a full size drum kit in the middle of country side! But don’t mess with Frome crowd! They had it! So a Big Thank YOU! My preparation was optimal. Training went well, I even run 12 miles on a hot-ish day, tapering was tough but I pulled it through, hydration and fuel before the event excellent. I was ready! Excited and couldn’t wait to go. I kept a close eye on the weather forecast and the temperature were getting higher. Very unusual phenomenon during British summer. 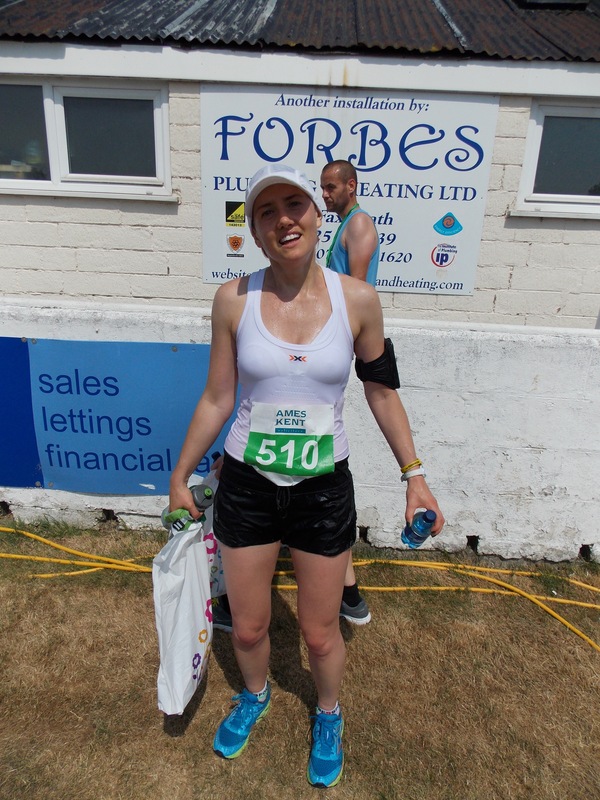 So my tactic was simple, time doesn’t matter, just keep going, watch energy levels, hydration, don’t push too hard, just make sure you cross the finish line! But as many of us runners know, once you are racing, you are racing! Even if you only racing for your own PB. And I did! 1:57:16! Get in! Couldn’t ask for better time considering the heat. 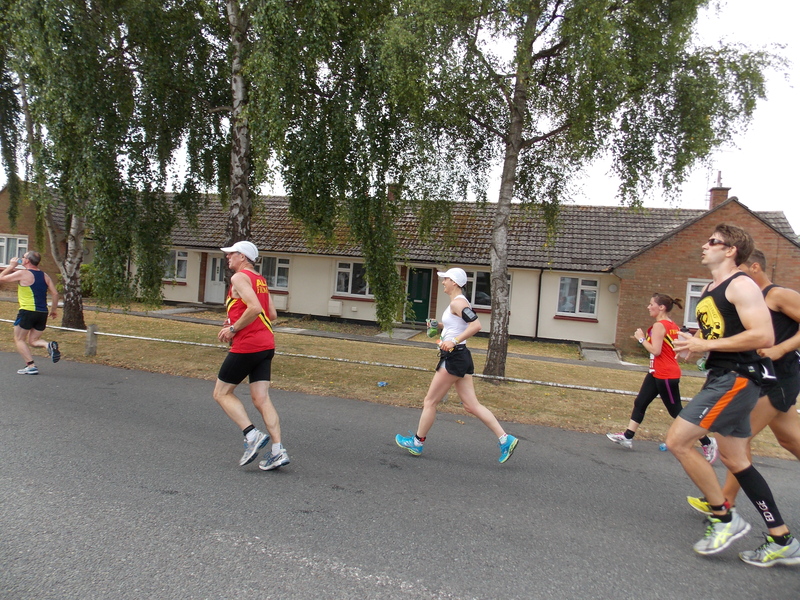 I can say that I am fully recovered from my injury and can attack the 3 Half Marathons in September/October this year! Happy all I can say! Obsessive Society – Health, Weight Loss, Diets…. We are obsessed with healthy eating, dieting, weight loss. But do we actually eat/live healthy? Looking at the rising obesity and diseases (such as cancer, heart diseases, diabetes) rates worldwide, we definitely do not eat/live healthy! Majority of us do talk a “good game” (or procrastinate to the next more “convenient day” or always find an excuse not to do it, pulled through!) but when it actually comes to eating/living/being healthy/doing it, fail! Why? What is holding some of us back or off? Why many of us struggle with loosing weight, keeping the weight off (! ), being healthy, active and ultimately happy? Lately I get to hear very often when people look at my food and say: ‘oh that looks very healthy?’ ‘You are eating very healthy!’ ‘Oh that looks delicious’. ‘Oh that is so colourful and appetising!’ ‘Oh I wish I would have time to do my own lunches, make home-cooked meals’…..
Well for me it is natural and essential, as we all call it “healthy” eating. That is what makes me, ME. A Human Being! And to be totally honest with you, I am starting to hate this phrase “healthy eating”! And why do I eat such “shockingly” healthy foods? Because I don’t eat and want crap which is full of sugar (artificial or not. I won’t go into the detailed science with you here), bad fats, preservatives, artificial colours/flavours and other ingredients which I cannot even pronounce. Just think, if you cannot pronounce a certain ingredient how on earth does your body deal with it? Stores as fat, messes with your neurotransmitters, hormones and and and…. I came across something very interesting the other day. “If you are reading ingredient lists on products, then you don’t eat clean/lean/natural and (ok I say it here), healthy”. It is bloody true! Absolutely, if you are in the supermarket and read label after label then you are avoiding the real food! The food which is good for you, your body, mind, and and and! And you are in the wrong aisle! (Ok enough of rant). On some occasions I get asked: ‘Don’t you treat yourself? Have some of the yummy cakes in the kitchen’. I just wonder – why? And that is what I really don’t get! Why do I want to “treat” my body and mind with high sugar, bad fats, crap food, empty calories?! A treat for me is a nice bowl of fresh berries (you can even have a spoon of full fat crème or Greek yogurt if you like), big fresh steak of tuna or piece of nice dark chocolate (at least 70%)! That is what a treat is – and should be! Treat, that actually gives your body good nutrients, cleansing your body from free radicals, oxidation stress, nourish your mind, gives you positive energy (emphasis on POSITIVE). Not crap, highly processed food! Please…. And then people say: ‘oh that is so difficult to resist those cakes, chocolate, biscuits, sweets in the kitchen’. Really? I don’t have a problem with that. Why? Just read the ingredients list and research each ingredient (good old google will help you with that). Find out more information and then think about it (digest the information you just read). Do you really want to have it in your body? Probably not (I hope so though otherwise I really don’t understand the world anymore). The emphasis here is on natural, real, fresh food! We are designed to move, we are designed to eat whole food, real food. And just an end note: I am proud to say that I haven’t been to McDonald’s (or similar establishments) in 15 Years! And I am not going to change it! I am shocked to see a queue in the Drive Through every time I pass a McDonald’s. Shocked! Seeing all the families with their kids stuffing their face with who knows what is in the “foods”! I am trying to mix up my reading material to gain knowledge, understanding, and facts. To understand the human race, especially when it comes to sport and nutrition. How to excel in sport? What is THE magic formula? I am lucky enough to have a full access to a well stocked University Library. On alternating days I read about Sports Nutrition, General Nutrition and Wellbeing, Recipe books and Ingredients, and Sports Psychology. Again absolutely makes sense. We train, we change. We become stronger, leaner, muscular. You name it. We change through sport… in a positive way. Wow that one gives me shiver! Hugely powerful! Hugely important if you want to grow, succeed and progress in any area of life.